In the news of this turnover of Congress, I was not sorry to read that 28 so-called “blue dog” Democrats were unseated out of the 60 seats in Congress lost by the Democrats. That’s almost half of the seats they lost. Why did they lose? The media will ask this question ad nauseum, no doubt. 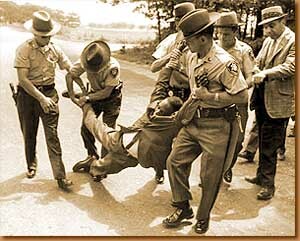 Why did they ever call themselves Democrats in the first place? — That strikes me as a much better question. This shift to the Right has occurred in American politics because Americans don’t have job growth back yet. 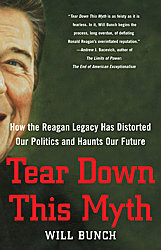 While no amount of rhetoric is enough to restore American confidence when, as the 1980s song “No Romance Without Finance,” says, there “ain’t nothing going on but the rent,” Americans have been right to feel disillusioned by the difference between the Obama-expressed idealism and what a majority Democrat Congress was actually willing to deliver. The timidity, the hand-wringing, the unwillingness (with several important exceptions) of representatives to take strong stands for things like a public option in Healthcare, or — as was famously pointed out on The Daily Show — stand strong for a bill to guarantee mesothelioma care for rescue workers on September 11th while the Republicans stood against it, those are the reasons that many Democrats felt disillusioned and why Americans did not understand the importance of keeping a House Democratic majority in place. After all, if a Democrat acts like a Republican, talks like a Republican, votes like a Republican, runs a campaign claiming to have stood up to a Democratic president, why on Earth would anyone care enough about him or her to vote for him against a Republican? The Republicans are not apologetic for who they are — they walk like themselves, talk like themselves, think like themselves. Why should anyone ever vote for a Democrat who thinks like a Republican? Frankly, to most of us out there — it looked pretty Chicken Sh#t. Travis Childers, whom I wrote about in this blog not long ago, lost his seat yesterday, and I won’t weep over this loss. He mis-managed his campaign. His ads proudly announced that he stood up to Obama. Childers is indistinguishable from a Republican — except that he repudiates his supposed allies. Between a Blue Dog Democrat who turns on his friends, or a loyal Republican , why would any voter embrace a Blue Dog Democrat? What Americans lacked in this election was a sense that they had a choice between two very different visions of how America should go. This is entirely the fault of conservative Democrats, who worried more about losing their own jobs than about fiercely standing up for the needs of Americans who had just lost theirs. I am very sorry to see Nancy Pelosi lose her job as Speaker. As the first woman who ever held that position, she was a champion deal maker, a tireless negotiator. She was so effective that she became the target of most Republican television ads. That’s a compliment to her. By being the first woman to ever hold that job and hold it effectively for her party, no one will ever question again whether a woman is qualified to hold the position. 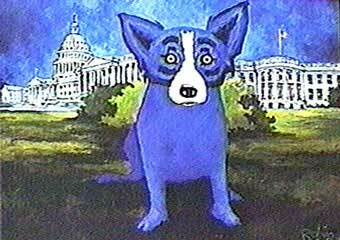 That said, I am thrilled to see the Blue Dogs go. Voters need to see clear choices when they go to the polls. They need to understand that a party has a platform, that the platform stands firm on issues that affect them. They need to know that the candidate for whom they vote stands by a platform that means something positive to their lives. Democrats have the ability to fumigate the blue dog poopy smell from their back rooms. They can repopulate now with idealists who will take firm stands for the electorate. I just pray they have the wisdom to do this. I believe that they can take back the House in two years if this becomes their strategy today.